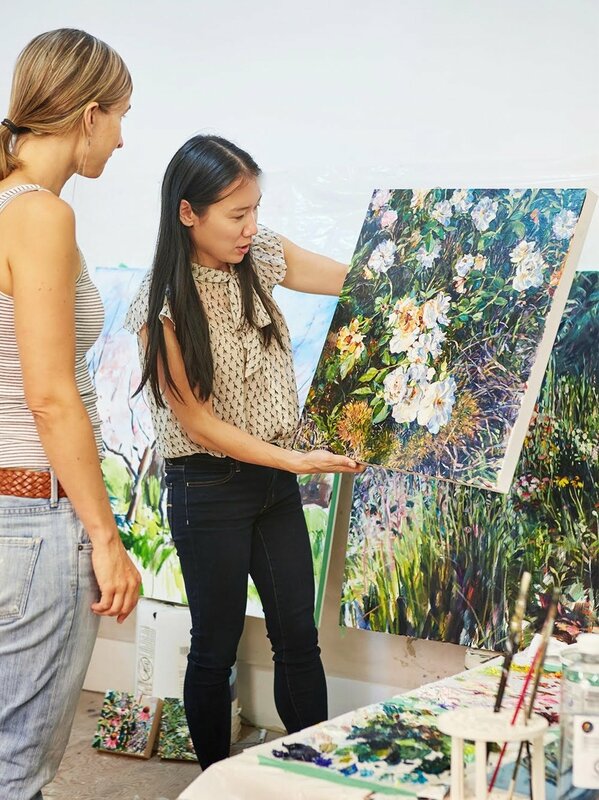 Pennylane and David offer individualized one-on-one consultations centered around advisement in the fine art industry, goal-setting, feedback and critique. Consultations are catered to the artists’ needs however topics may include: feedback and critique, developing a body of work, marketing, gallery approach and identifying an audience. Consultations with Pennylane are held at her office at 1000 Parker Street in Vancouver or over Skype. Booking are typically available 3 to 4 months in advance. For David, consultations are held at his home office in Victoria, BC or over Skype. Bookings are typically available within 3 to 4 weeks. To prioritize discussion topics, please fill out the pre-consultation form one week prior to your appointment date. Follow up consultations are made within 3-4 months time. 2019 rates are $130.00 per introductory session for Pennylane and $110.00 for David. Consultations last approximately 75 minutes. All consults are held in person in Vancouver and Victoria, or via Skype or out of province residents.